As you can see in the picture, the Wheel of Destiny has 8 slots, numbered 1 – 5. The number 1 appears three times, 2 appears twice, and 3, 4, and 5 all appear once. So the Wheel is “weighted” toward the game in slot 1, and somewhat toward the game in slot 2, and nothing below slot 5 even makes it on the Wheel. 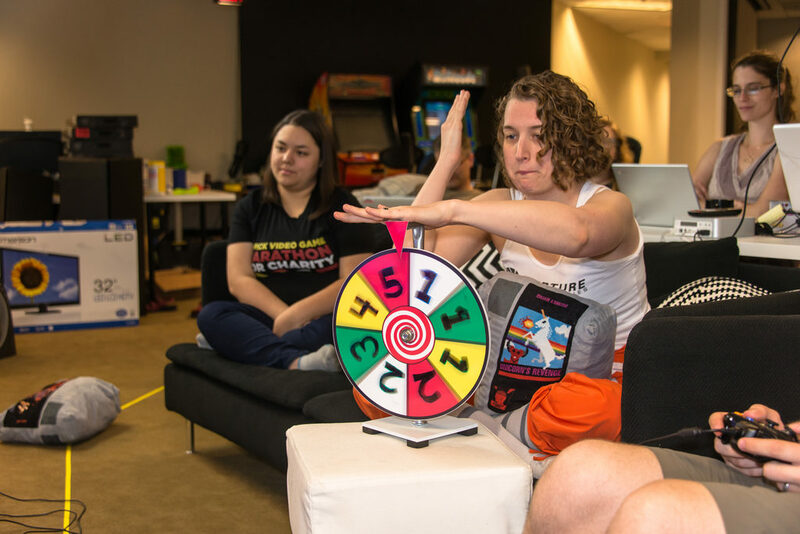 When we hit the 50-minute mark of every hour during our marathon, that’s when we spin the Wheel of Destiny to see which game will be played for the next hour. Whichever number, 1 – 5, that the Wheel lands on, the game in that slot on the Rankings is what we will play. So before the 50-minute mark, you’ll want to get your donation in for Castle Shikigami 2 (in our example) for it to even have a change of being played for the next hour! If you wanted it to have any chance at all, you’d need to donate at least $5.01 to have it overtake Sonic Adventure for Slot #5. If you wanted to have an even better chance, you’d have to donate at least $25.01 to have it overtake Tail of the Sun for the #2 slot. And if you wanted it to have the best chance of coming up in the next hour, you’d have to donate $62.01 or more to overtake Sim Ant and take the #1 slot! 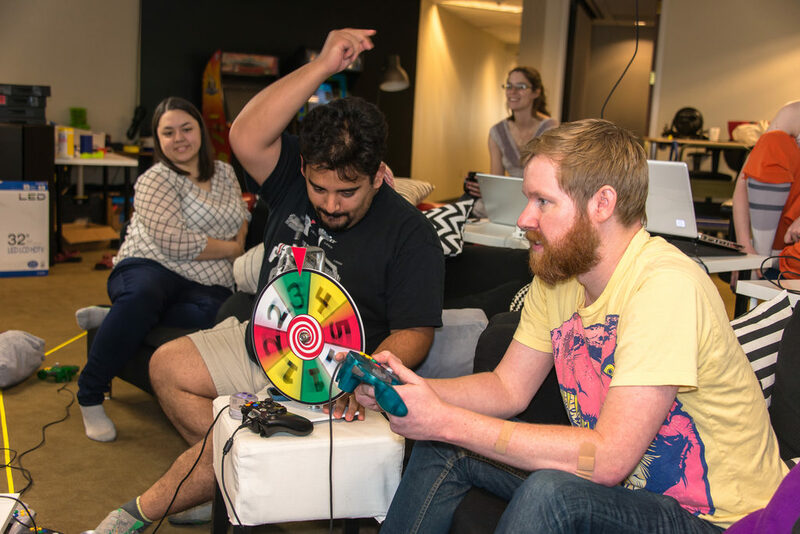 When the Wheel lands on a number, we (of course) start preparing the game in that slot for the next hour of play. Hurray! But the game also loses all of its accumulated points and goes back down to the very bottom of the Rankings. This is just to ensure that the there are only repeats of games during a game-a-thon if you guys really want another hour! All you have to do to see a second hour of a game (or third hour, or fourth!) is donate again until it gets back into the Top 5. And that’s it! We’ll spin the Wheel 48 times during UPickVG 5, starting with the first Wheel Spin at 7:50pm ET on June 3rd, during our preshow. Then we’ll play the first game it lands on, and we’re off to the races for another 47 Wheel Spins in a row! 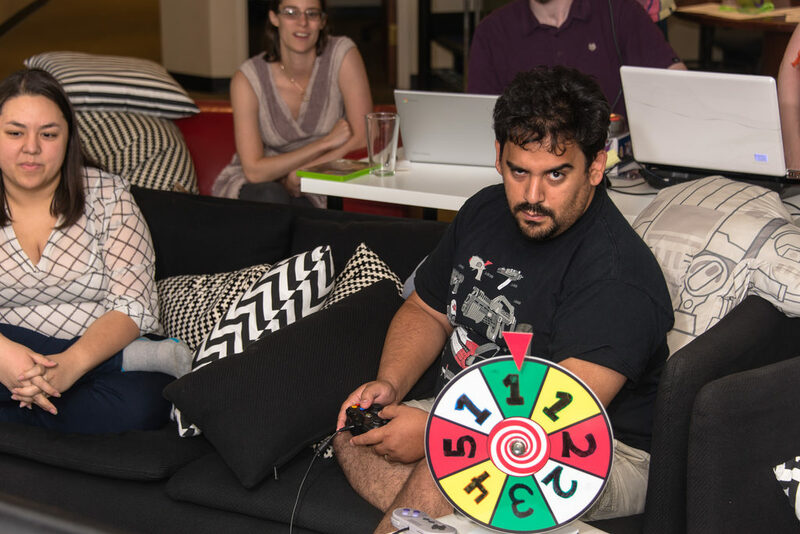 Donate now to get the game you want on the Wheel! 100% of your donation will go to bringing people clean water. 1 Comment on "UPickVG 5: Revenge of the Wheel of Destiny"